At Great Lakes Security Hardware we arrange regular commercial door maintenance. We provide 24/7 service, with emergency same day services. You must ensure your commercial doors are maintained properly to prevent avoidable issues early and keep them functioning well. Give us a call today at 888-855-6257. Visualize a company in which prospective as well as existing customers come and go all day long. 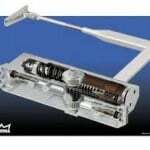 In precise characterization, a commercial door closers are really a mechanized system set up in any doorway inside of a business organization. Obviously, through the name, you can easily see that the commercial door closer is utilized in order to help automatic closing for the entrance door. And so, pay attention as you actually enter into certain doorways within some business facilities, the actual entry doors automatically shut without having you do anything to open up as well as shut it. Thus far, their are two main standard categories regarding commercial door closing systems available at this time. Commercial businesses as well as other establishments needs to properly evaluate the two and have them installed correctly wherever they may be used properly. The particular types of commercial door closers clearly inform you the location where commercial door closers versions need to be mounted. The first of the commercial door closers classification will be the Grade One closer. It is essentially fitted using a number of control devices for the purpose of latching, sweeping and backchecking. Of these two varieties of commercial door closers, Grade One is proven to be slightly more preferred as well as the most utilized. Throughout the industry, you can locate, fairly easily this specific kind of commercial door closers as opposed to the other. Performance wise, the Grade One commercial door closers are often engineered and produced in order to enhance durability any time it is set up in high traffic locations, as well as locations used buy high volumes of customers. The truth is, these types of door closers are located in primary entrance doors of just about every important commercial business. These kinds of door closers are created and manufactured to withstand as well as endure around 300 to 400 door closing functions each day. Even with its substantial usage, you can rest assured on the high powered durability. Typically the Grade One commercial door closer will last around three to seven years. The next style of commercial door closers are the Grade Two. These types of commercial door closers are very well engineered as well as manufactured in order to withstand locations having moderate traffic within a commercial business. Grade Two commercial door closers are actually not as widely used compared to Grade One. The reason being that these kinds of closers are usually more prone to higher as well as repeated stress. To compare, the typical Grade Two commercial door closers are often used to shut doors around Fifty to one hundred times throughout the day, in comparison to approximately 4 hundred times within the Grade One classification. This specific commercial door closer design is furthermore utilizing a minimum of double valves for the control associated with the actual closing door’s speed. Valve number one is made to sweep in the stage whenever the door will be opened up completely till it actually reaches about 10 degrees prior to being shut. With this door closure degree, the 2nd valve is able to take control to control the actual successful and ultimate door closing speed, the latch rate. When it comes to business establishments and owners, you will find there’s need to be able to understand the 2 versions. You can still find a few business facilities incorrectly utilizing Grade Two designed for the particular capabilities regarding Grade One commercial door closers. This approach is actually detrimental. It’s okay to utilize Grade One commercial door closers to takeover the particular purpose of the Grade Two commercial door closers, however the reverse is simply not appropriate.